Nicholas Nixon is an American artist best known for his portrait and documentary photography. The artist is known for creating emphatic portraits of the old and young people, couples and patients in hospital care or AIDS patients. Themes that Nixon covered were Boston schools and schoolchildren and ordinary, simple man and woman but also those in nursing homes, the blind, sick and dying human beings. 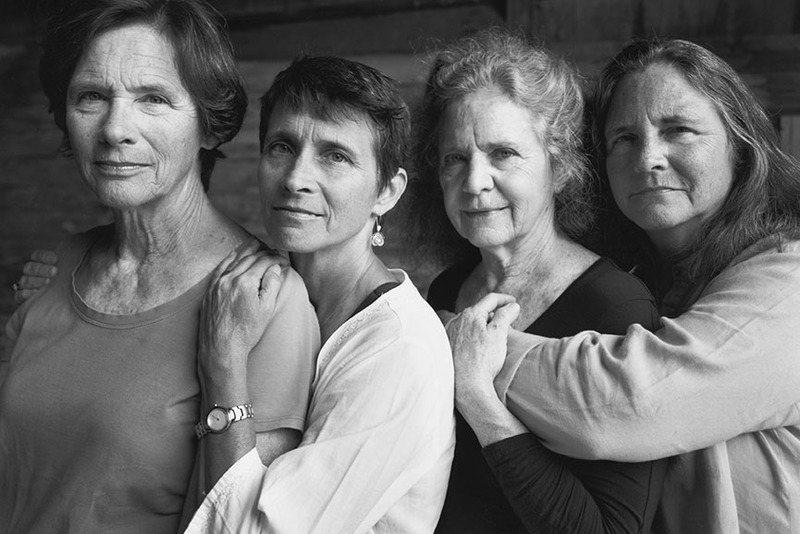 Nicholas Nixon also documented the life of his family and his wife’s family in his celebrated series The Brown Sisters. Nicholas Nixon was one of the advocates of using 8×10 inch camera. He was strongly influenced by the work of Edward Weston and Walker Evans, who are the reason he started using large-format cameras. The artist was attracted to the technology due to its ability to develop prints directly from the 8X10 inch negative while simultaneously retaining the clarity and the image of the frame. And though many photographer abandoned the use of these cameras and replaced them with smaller 35 millimeters films Nixon remained true to the format as he preferred working on a greater scale. The artist is best known for his widely acclaimed The Brown Sisters masterpieces. 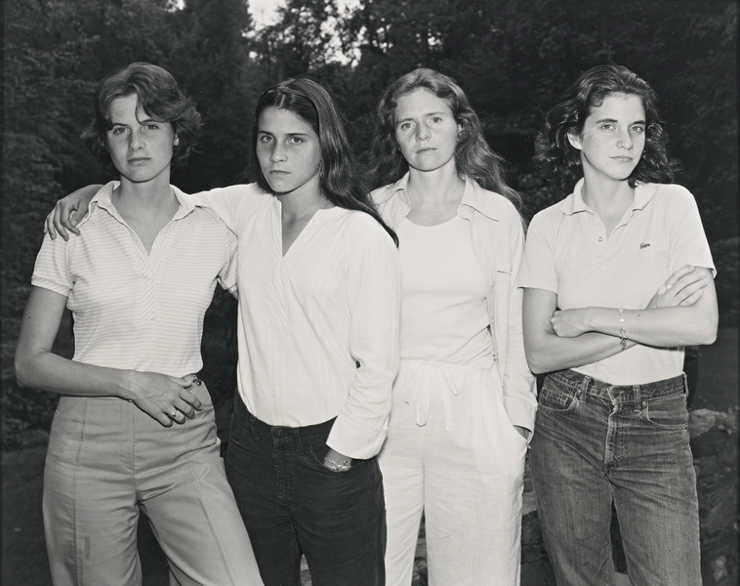 In 1975 Nicholas Nixon took a photo of his future spouse Bebe and her three sisters Mimi, Laurie and Heather. The following year Laure Brown graduated from college and the event made for a perfect opportunity to take another group photo. It was then that Mimi, Laurie, Heather and Bebe decided to gather annually and pose one group portrait that would tell the story of their lives. And that’s how The Brown Sister was created. For more than forty years the artist has documented the lives of the sisters simultaneously telling the story of aging and human endurance. As the series progress, we see the skin loosen and fine wrinkles becoming more prominent, caused by the burden of time. But the pictures also tell the story of human strength and durability, family relations, and love as we see sister holding on to each other year after year to show their undying commitment and affection. In 1975, the same year when his acclaimed The Brown Sisters series begun Nicholas Nixon draw attention of the art experts with his industrial landscape photography. He was one of 10 artists whose work was on view at New Topographics: Photographs of a Man-Altered Landscape, a group exhibition that epitomized a key moment in American landscape photography. The exhibition marked a radical break with the tradition of landscape photography that focused on portraying wast landscapes unaltered by human activity. Instead the exhibition focused on portraying stark industrial landscapes and the show consisted of 168 rigorously formal, black-and-white prints of streets, warehouses, city centers, industrial sites and suburban houses1. The exhibition’s subtitle Photographs of a Man-Altered Landscape elaborated the unifying theme of the artworks as every photographer exhibited images of urban landscapes of America. Nicholas Nixon’s work depicted intercity development by showing skyscrapers that stood above regular buildings, vast streets, and freeways, that made the pedestrians seem like interlopers in the world designed for automobiles. In many, ways the exhibition was a turning point in the history of photography as, for the first time, everyday objects and urban surrounding were accepted as a legitimate photography objects. Its influence on the fine art photography is indisputable but the exhibition also had a different more conceptual unifying motif. It underlined a much deeper fear of that generation that the natural elements will be completely replaced by the concrete structures thus completely separating humans from the surrounding nature. In 1987, when AIDS was till in many ways, an unfamiliar and misunderstood illness, Nicholas Nixon made his celebrated People with AIDS project. People with AIDS portraits captured several AIDS patients including an aspiring Harvard student Tom Moran. 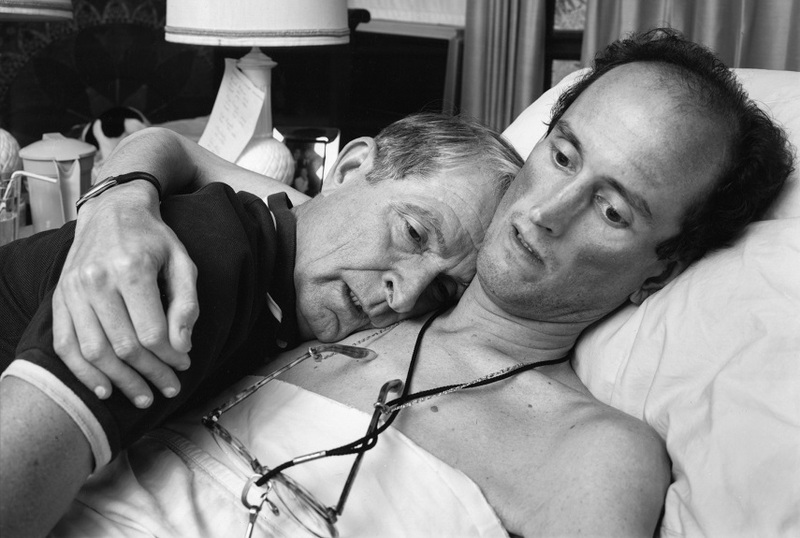 The images followed his life from August 1987 till his death in February 1988 while documenting his physical deterioration in every stage of the disease.2 In the time when AIDS patients were viciously stigmatized and any contact with them condemned, Nicholas Nixon’s photos provided different outlooks on the AIDS victims. The images of disfigured, ravaged and lonely individuals deprived of any social and political background portrayed the brief life of AIDS patients as it truly was. The emphatic images of Tom Moran directly opposed the prejudices many AIDS patient still encounter today. Through his career, Nicholas Nixon’s works were shown at various exhibitions in acclaimed institutions including Modern Art Museum of Fort Worth, Texas, National Gallery of Art in Washington, D.C. and the Cincinnati Art Museum. In 2010, the Museum of Fine Arts, Boston hosted a solo show Nicholas Nixon: Family Album that included The Brown Sisters and other portraits of his wife Bebe, himself and their children. In 2015 Freankel Gallery organized an exhibition of Nicholas Nixon artwork encompassing 40 years of the prolific photographer’s career. 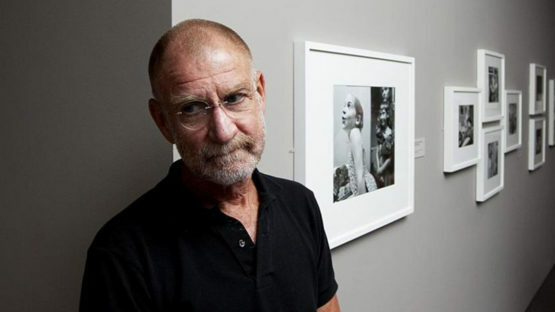 Nicholas Nixon’s artworks are included in the collections of some of the most relevant art institutions in the world including Metropolitan Museum of Art,New York the Museum of Modern Art, New York, the San Francisco Museum of Modern Art and the Museum of Fine Arts in Boston, Massachusetts.